I love new beginnings and I think it is because I LOVE the feeling of newness, like new bedsheets on a bed, or putting the first brush stroke on a blank canvas, or making those first skate blade marks on a clean sheet of ice. Typically, September feels like more of a “New Year” to me due to the school year starting after a nice summer break. However, there is something different about the actual New Year and the changing from writing 2016 on your notes to writing 2017. It does inspire me to set new goals and seek out new opportunities. Lots of people set New Year resolutions, particularly to achieve a healthier lifestyle – whether that be through increasing physical activity or making healthier food choices. Before setting any New Year resolutions for healthy eating, I think it is important to really strip things down and get back to the basics. Before we resolve to avoid overeating, eat vegetables every day, or pack healthier lunches for our kids, I think we need to seriously evaluate what our kitchen looks like and, if the place where we will be making food to feed ourselves and/or our family, is an environment that is well-equipped and conducive to making healthy food choices. ... and meal plan, meal plan, meal plan!!! 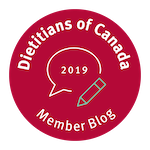 So, in this first of a four-part blog series I am going to give you some recommendations for kitchen appliances and tools that will enable to you to cook healthy and flavourful dishes. Setting up a kitchen can be a daunting and expensive task but luckily there are lots of stores now that carry kitchen appliances so that you shouldn’t have to buy anything that’s not on sale or a reasonable price. And for all of the brides-to-be that got engaged over the holidays, take note of this list and be sure to register for any items that you may not already have in your repertoire at home. Without any further delay, here is your “baker’s dozen” of suggested tools to help you with healthy, easy and stress-free cooking in the kitchen. This will likely be one of your largest investments in the kitchen if you don’t have a set. At a minimum, you should try to find a stainless steel 7-piece set that comes with a small and medium saucepan and large stock pot (with lids) and a large frying pan. If you like to see what your food looks like when you are cooking, choose a set with glass lids. You don’t need to break the bank on a set, but you do want to find a set that is of decent quality and durable. Nothing is worse than having a thin pot that burns your food! Cookware sets go on sale ALL the time so find a set you like and watch for a sale. It is possible to find a good set of pots and pans between $150 to $300 but you can certainly spend more! Recommendation: Any sturdy stainless-steel set – too many to choose from! I do like the variety at The Bay. I have two inexpensive roasting pans and have had great success with these from roasting whole chickens, and turkeys, to cooking up a pork or beef roast, to baking large batches of granola and so much more. A small investment for a big return! Recommendation: Canadian Tire, Oval Roaster 9-12 lb ($12). My Cutco Knife Set with extra pieces which were purchased later, including a knife sharpener, vegetable peeler, butcher knife and santoku knife. A good sharp knife set is the key to frustration-free chopping! I am not going to lie; a good knife set can be pricey. So, if you’re looking to save money, watch for sales. At a minimum, I would urge you to find a Chef’s knife or Santoku knife, which you can find for as cheap as $20 a piece, as these will help you to chop, slice, dice and mince your fruit and veggies with ease. What’s in my kitchen? Cutco knife set – the BEST wedding present a dietitian could ask for! Small, medium and large-sized mixing bowls are another essential. I like the durable nature of stainless steel bowls. Look for a set with a silicone non-slip base and accompanying lids. Plastic bowls are certainly cheaper and glass bowls work well too but glass can be heavy and is obviously breakable and in my experience, plastic can get easily stained from certain foods that you may mix or store in the bowl. What’s in my kitchen? Pampered Chef bowls – yet again, another beloved wedding/shower gift! Recommendation: Walmart, Paderno 4-piece mixing bowl set with silicone base and lid ($50). To stretch your dollar the farthest, get some glass baking pans for oven roasting/cooking. If you are looking to invest in some amazing cookware options, I have a particular affinity towards the stoneware from Pampered Chef. The hardest part is getting the pan seasoned (but it’s easy enough if you bake something really fatty on your pan for the first time or two!) I have had these 10 years now and I love them. The old pans I had before used to warp in the oven and their coating used to chip, which, I am assuming, isn’t the best thing for one’s health. If you want to incorporate more greens into your diet, a salad spinner will come in handy so that your lettuce is not dripping wet. However, the good old, “shake it off with your hands” method works well too and is free, but maybe not as efficient or effective. Most boxed greens indicate that they are pre-washed and ready to eat but it never hurts to run it through a quick wash and spin. What’s in my kitchen? Pampered Chef Salad and Berry Spinner. Recommendation: Amazon.ca, OXO Good Grips Salad Spinner, Large ($40). Ok. So truthfully, I do not have one of these... YET! When you consider that this one appliance gives you the functionality of a slow cooker, saute/browning, pressure cooker, rice cooker, steamer, warmer and yogurt-maker all in one, then it only makes sense to invest in one appliance vs. seven individual appliances. All things considered, I’d say it is priced just about right. If this appliance is too daunting, I would recommend a slow cooker and rice cooker. What’s in my kitchen? Cuisinart rice cooker and Rival slow cooker, both used weekly. I have had disastrous experiences with blenders!! The only blender left standing in our house is a Baby Bullet… and since I have been using it to make smoothies and pushing it to the max, the motor sounds as if it is going to die soon! If/when you buy a blender, please invest in a good one! A food processor gives you more options for slicing and dicing etc. but a blender is superior for making smoothies and soups since there is a maximum liquid fill level on a food processor. I think both have their place but since they are pricey, consider what functions you will use most. A simple box grater comes in handy for grating small to moderate amounts of cheese and any vegetables without lugging out a food processor. In addition to a traditional box grater, I would add a zester to your grating needs for healthy cooking. Adding the zest from a citrus fruit to a recipe can make a huge improvement on flavour without adding extra sugar or salt. You can find a stainless-steel box grater for $10-$20 depending on how many sides it has. I like a separate zester as I find it easier to handle but most box graters have a “zester” side. What’s in my kitchen? A hand-held Trudeau zester. My Trudeau juicer - still going strong 10+ years later! Many salad dressing recipes and marinades require the juice of a fresh lemon, lime or orange. I learned early on that using the bottled lemon or lime juice simply doesn’t compare with respect to flavour. Since lemons and limes are inexpensive, we have these on our grocery list almost weekly. Again, you can simply squeeze the lemon or lime with your hands but I find I get more juice in the bowl (and less on me) when I use a juicer. What’s in my kitchen? A Trudeau juicer. Recommendation: Well.ca, Jareware Juicer ($6). You can screw it on to any standard glass jar! This is an inexpensive way to ensure that your meat is sufficiently cooked. Any meat thermometer will do, although a digital thermometer will give you much quicker results than an analog version. Trust me. A digital thermometer is on my list! Whats in my kitchen? A $5 thermometer from my mandatory restaurant course at university! Garlic is a staple ingredient in many healthy dishes. I prefer to buy fresh garlic and use a press vs. chopping since the cloves are small. Our press gets used daily. When it comes time to measuring cups and spoons, my motto is "the more, the merrier!" Most of us have these on hand but you certainly need them when baking and/or trying new recipes. I am the worst for not measuring ingredients when it comes time to cooking but with baking I try to be a lot more precise. Look for a set of measuring cups that includes a 2/3 and 3/4 cup value. I use them all the time and most sets don’t have them. Case in point, I had a difficult time trying to find any available in Canada online. If your New Year resolutions include trying to watch your portions, don’t forget the substantial impact that the size of your plates and bowls has on how much food you eat. This was nicely demonstrated in a study completed by researchers at the Food and Brand Lab at Cornell University. In one part of their experiment, which was conducted at a health and fitness camp, campers who were given larger bowls both served and ate 16% more cereal than the campers who were given smaller bowls. Despite the fact that those campers were eating more, their estimates of their cereal consumption were 7% lower than the estimates of the group eating from the smaller bowls. What a simple and easy way to help with portion-distortion in our own homes. Switch out the large dinner plates for luncheon-sized plates! If I had to rate something as the highest priority, I would say it’s a tie between a good quality set of pots and pans and knives as the two most important tools. 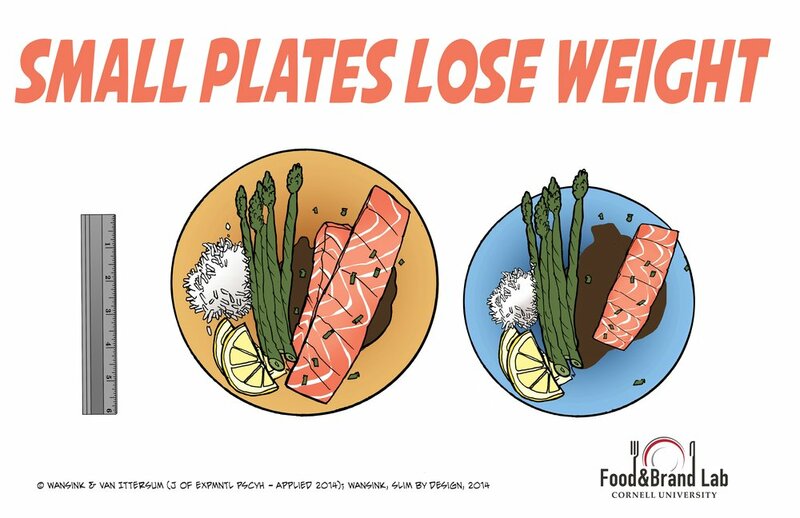 Don't forget to look at the size of plate that you are eating your food from - you may just want to switch the dinner plate for the luncheon or bread and butter plate! Questions or comments?! Drop me a line! Let’s get you set up for success! Stay tuned next week for Part II: Getting the right food on hand! Two disclaimers! I am a registered dietitian, not a chef. My recommendations are derived solely from my personal experiences in the kitchen and information I have gleaned by trial and error over the years. Secondly, please note I do not discuss plastics and Teflon coating in this article. I do not have the scientific expertise to do so, although you can see that I minimize their use, as I am able.